Parishes will receive a one-third share of all the funds they raise up to their parish goal and two-thirds over their goal. This amount represents the largest element of the Campaign and will help parishes build new facilities for ministry, maintain existing buildings, pay off debts, or start parish endowments. Parishes with great needs can increase their goal and their parish share rate to meet their local challenges. The result of this effort will be stronger parishes, better positioned to advance our sacred mission. One of the top concerns facing our Diocese is inspiring Catholics to deepen their commitment to the Church as disciples of Jesus; as well as reaching out to those who are inactive and unchurched. 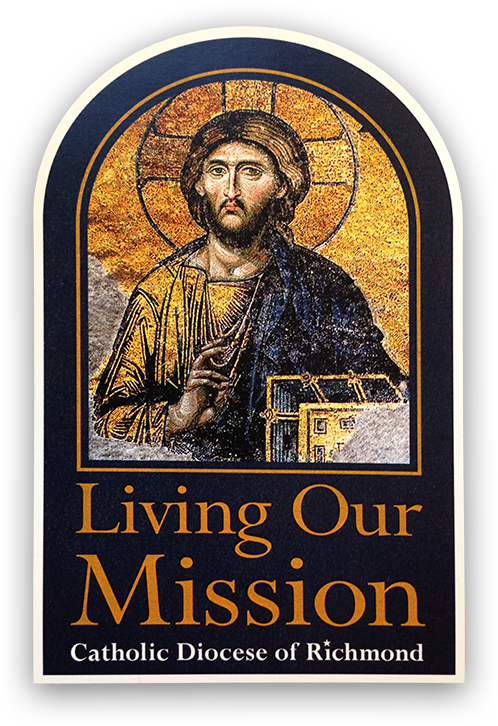 In order to meet this important need, a $2 million fund will be created through the campaign to spur creative new ministries that lift Catholics to enthusiastically live their faith while also inviting others to join in the mission of our Church. The Catholic Church we leave to our children and grandchildren is critical to our legacy. A $5 million endowment fund will be established within the new Catholic Community Foundation to generate a permanent stream of funding to sustain these ministry opportunities throughout the Diocese. By doing so, we will be able to respond to one of the most pressing needs facing the Catholic Church which is developing the next generation of Catholic leaders. To complete the goal of building a $15 million fund within the McMahon-Parater Foundation for Education, the Campaign will provide $7 million for tuition assistance endowment to Catholic School families who could not otherwise provide the blessing of a Catholic education to their children. The Campaign will fund a $5 million endowment within the new Catholic Community Foundation to support the recruiting and formation of future priests to serve God's people in the Diocese of Richmond. In addition, the fund will create new opportunities for the continuing education of our priests and deacons so they can receive advanced degrees in areas such as Canon Law and Liturgy. After devoting their life in service to the Church, it is right that we honor the sacrifice of our priests and show our appreciation for their service by helping them retire with dignity. As priests live longer and healthcare costs continue to escalate, this need has increased dramatically. To ensure that this need is addressed, the Campaign will secure $8 million to provide health and long-term care for priests as well as additional funds to the Priest Pension Plan to aid in sufficiently funding the plan. Taking advantage of the latest communications technology, the Campaign will fund the creation of Distance Learning and Ministry Training sites throughout the Diocese, bringing broad access to excellent programming for Catholic schoolchildren, adult education, and ministry training for staff and volunteers serving in parishes and schools. A fund will be established for assisting parishes with emergency capital projects and for providing special support to historic parishes in the Diocese. A fund will be established for the management of diocesan-owned properties such as the Pastoral Center, campus ministry facilities, and Catholic schools. A $4 million endowment fund will be established within the new Catholic Community Foundation to help secure staffing for social outreach ministries as well as helping our 45 mission parishes to carry out their ministries. The Campaign will continue to sustain the essential ministries and programs funded through the Annual Diocesan Appeal in the same year that each parish conducts its campaign. Expenses: The staffing, marketing and administration of the campaign are estimated at 5 to 6 cents per dollar raised, ensuring that the vast majority of funds collected are dedicated to the capital and ministry priorities of the Diocese, as well as its parishes and schools.